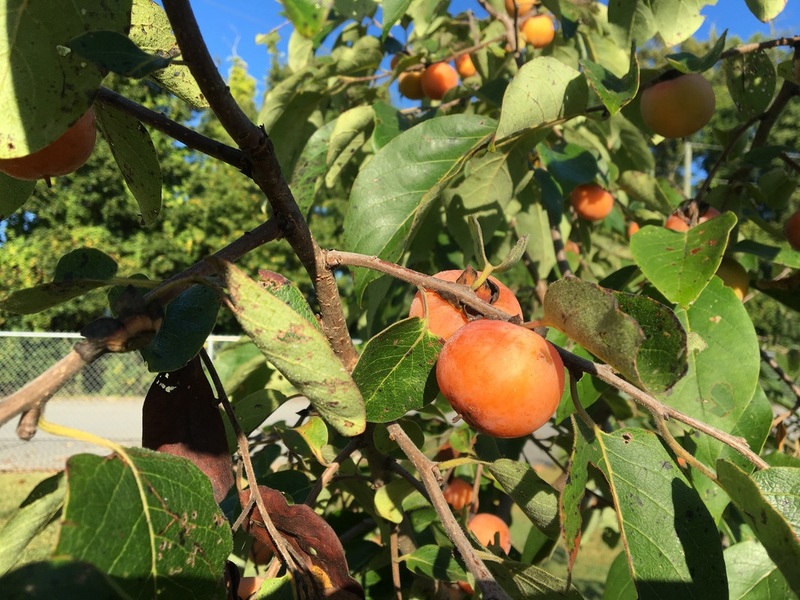 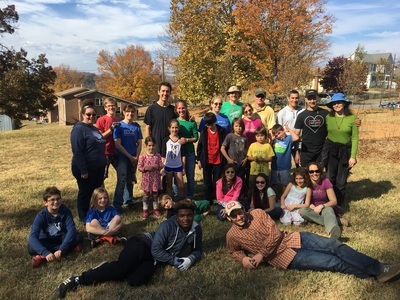 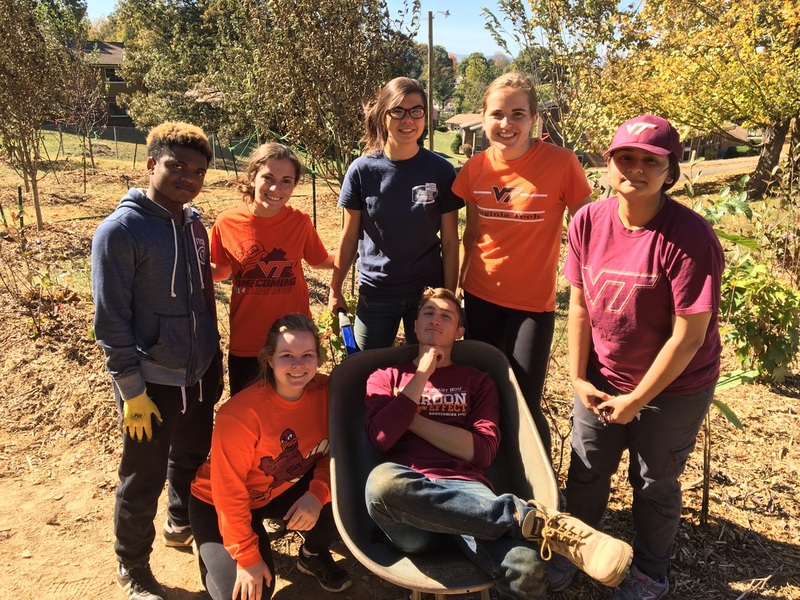 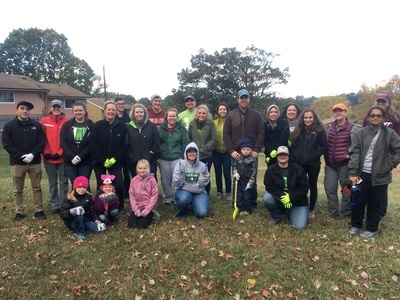 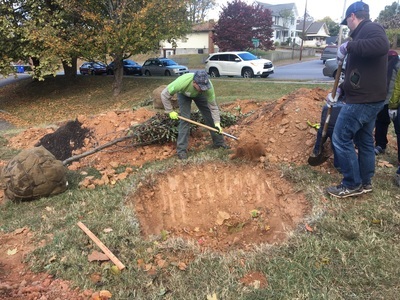 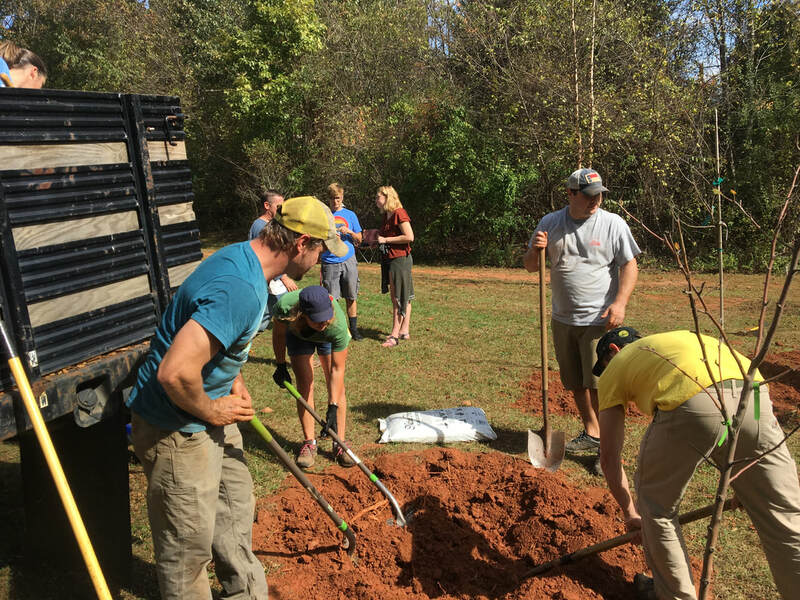 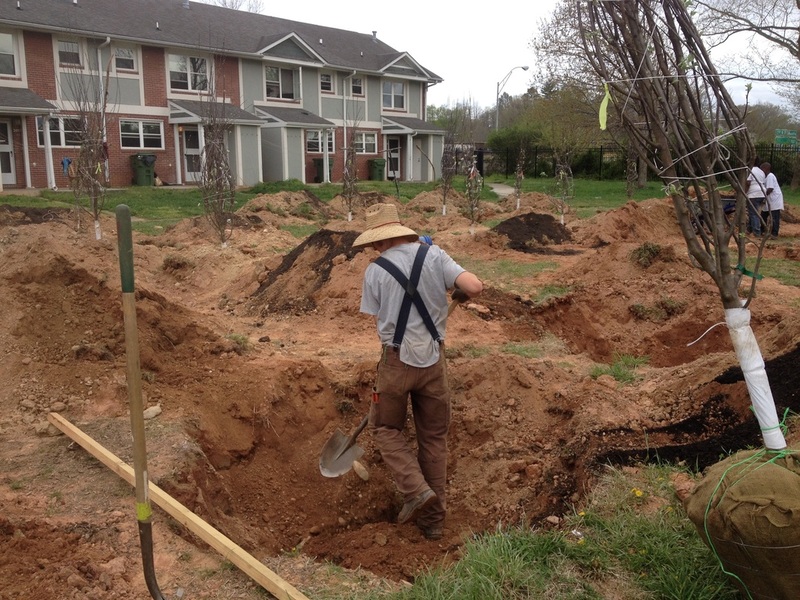 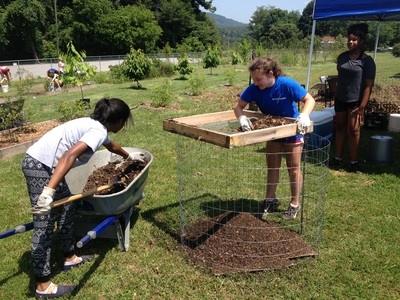 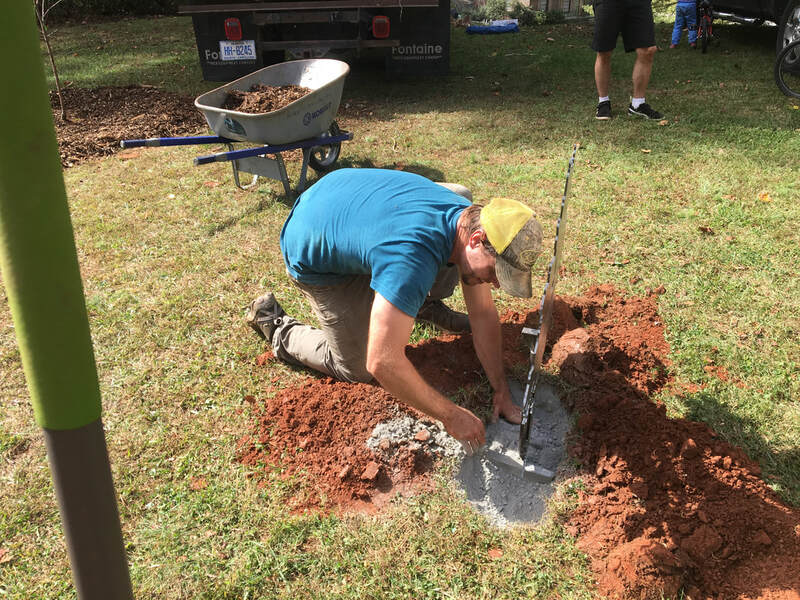 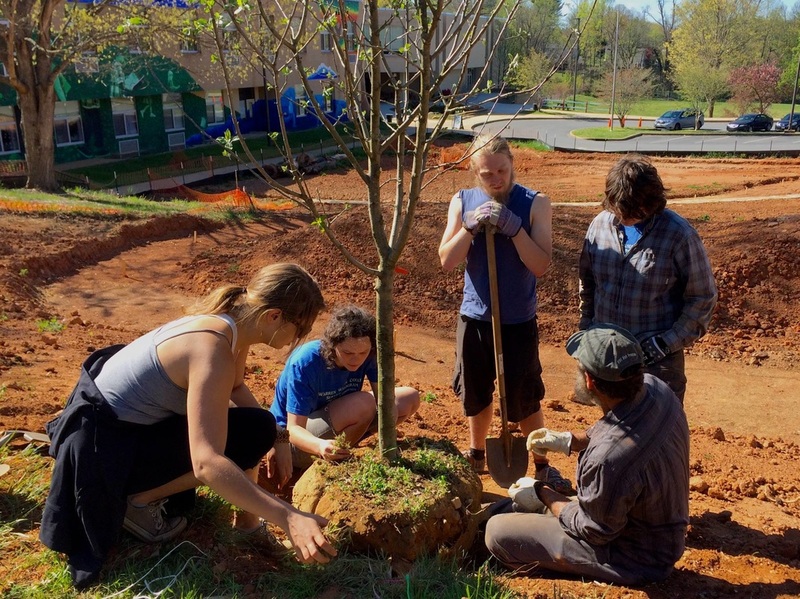 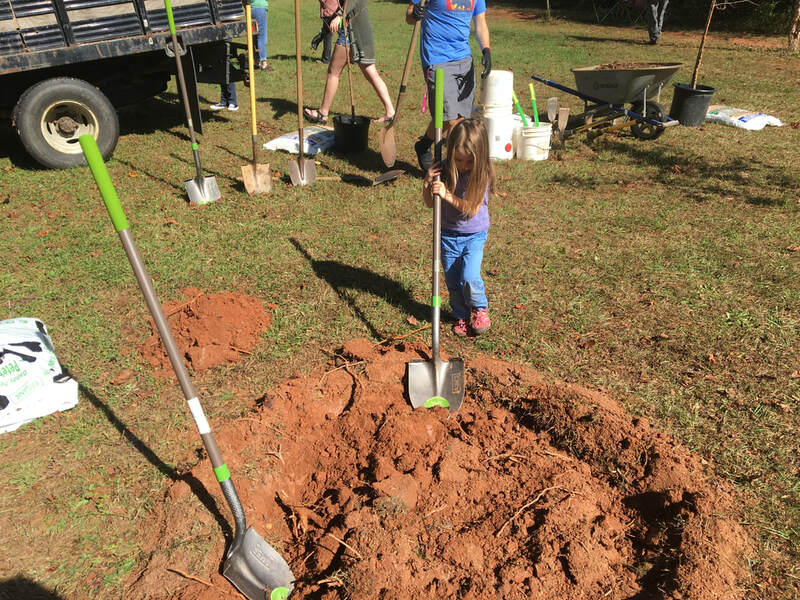 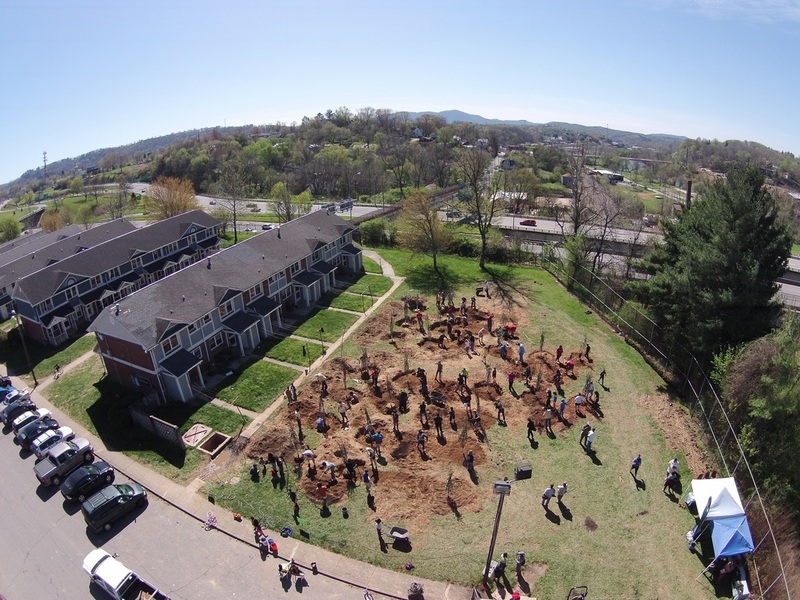 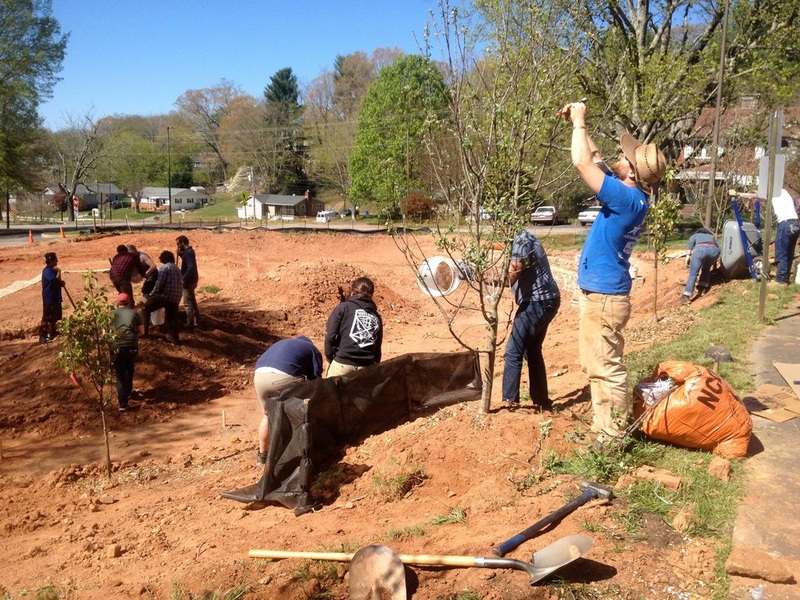 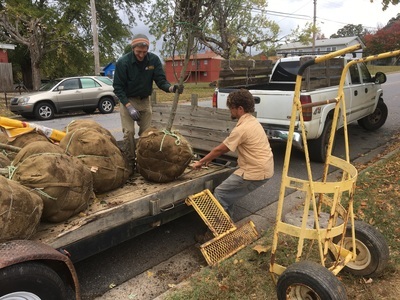 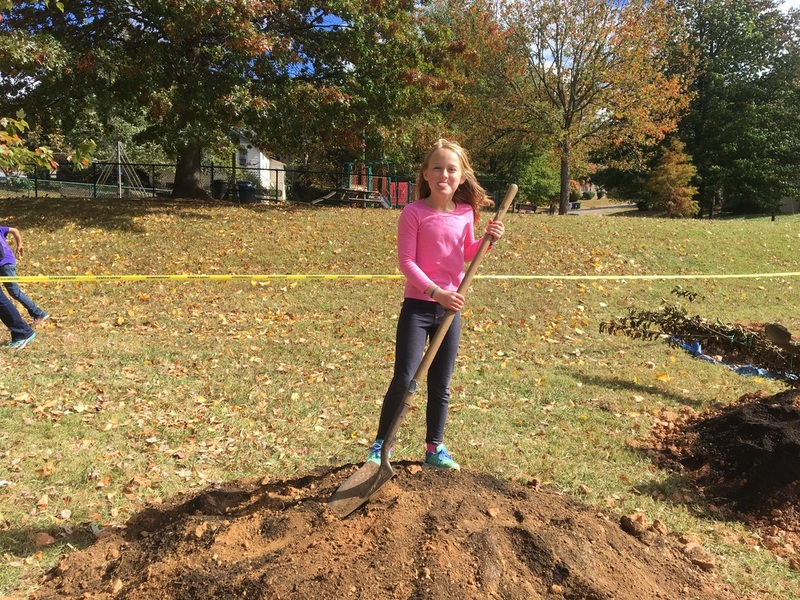 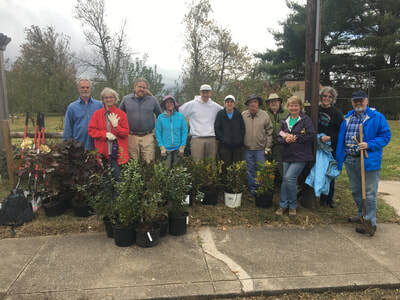 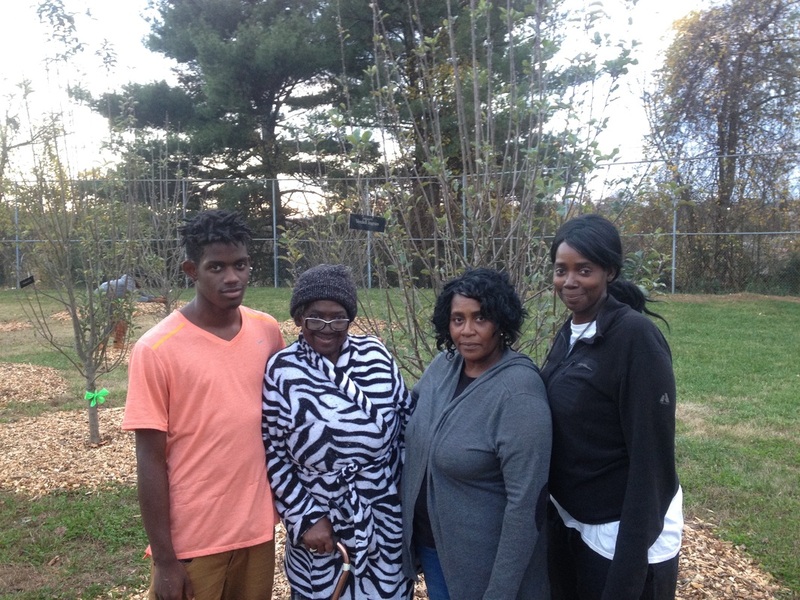 The GreenWorks' Food Tree Project works in partnership with communities located within Buncombe County that lack access to fresh, healthy food options. 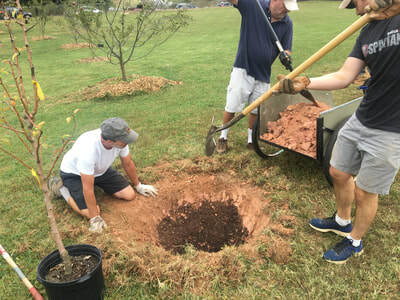 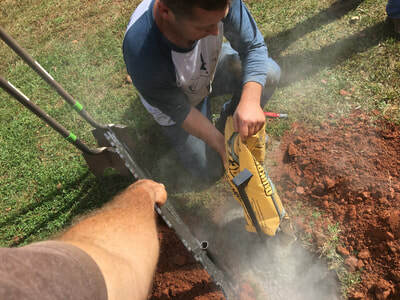 In addition to planting single food producing trees, we are installing community orchards that will have any even wider reach within our community. 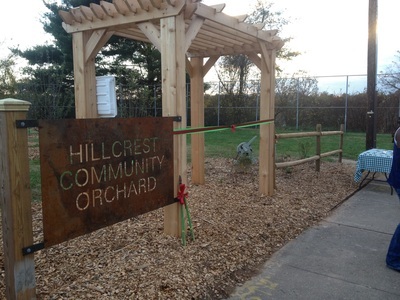 These orchards will be available for the immediate communities consumption first. 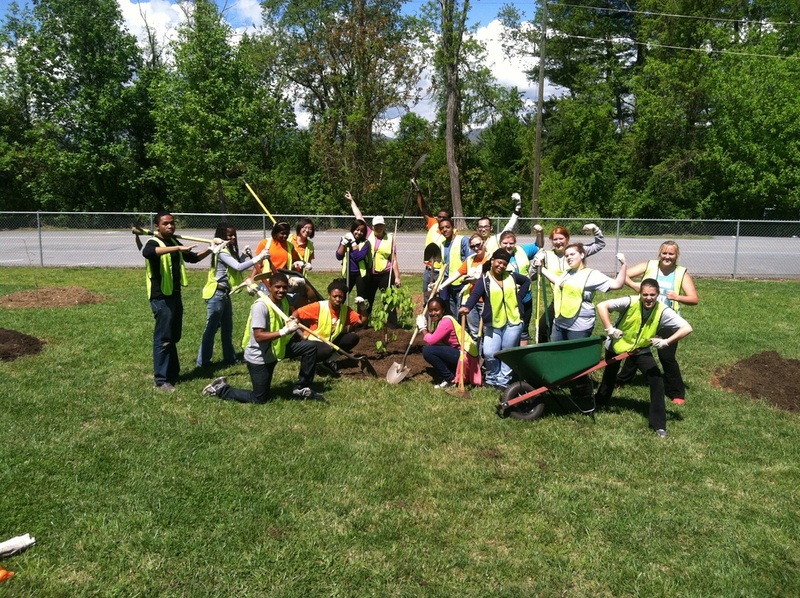 To get involved in this meaningful and fun project, please contact us. Funded by TD Bank through the National Arbor Day Foundation. This orchard contains thirty Apple trees, a pollinator habitat and a Blueberry patch. 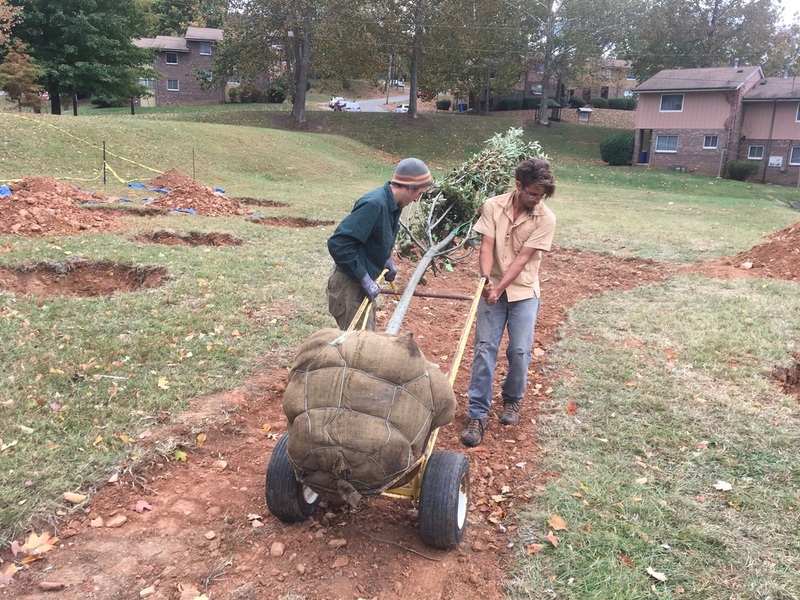 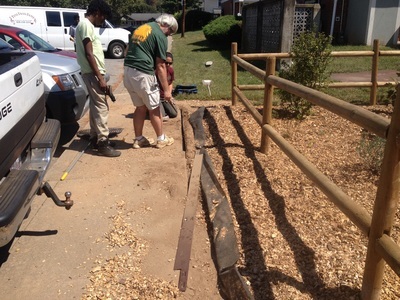 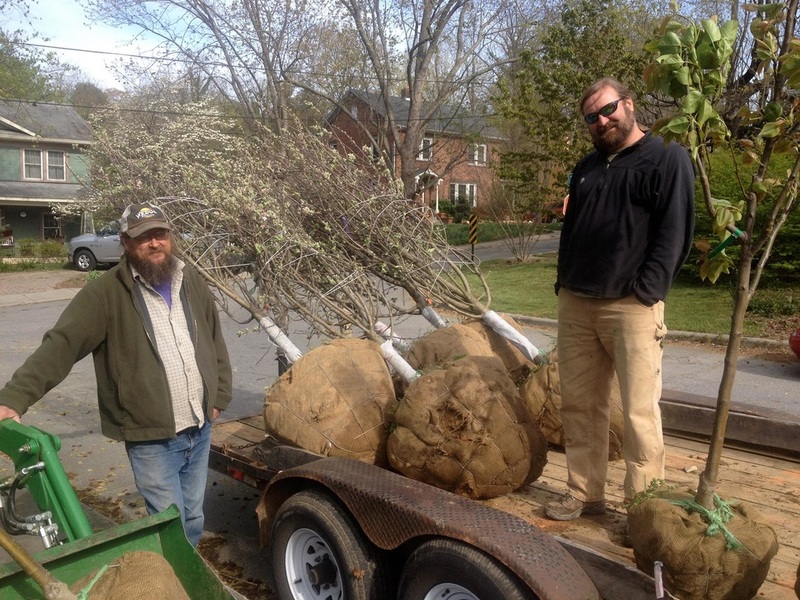 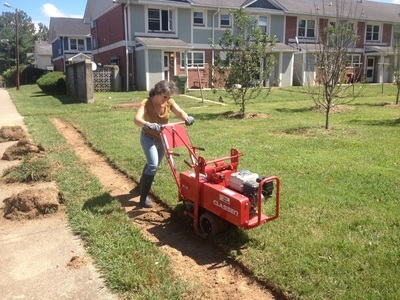 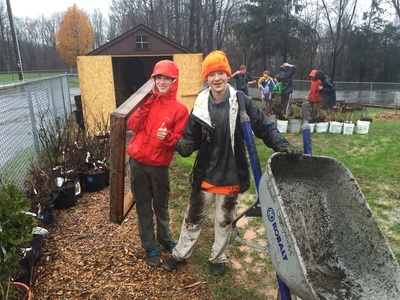 Funding provided by Asheville GreenWorks. 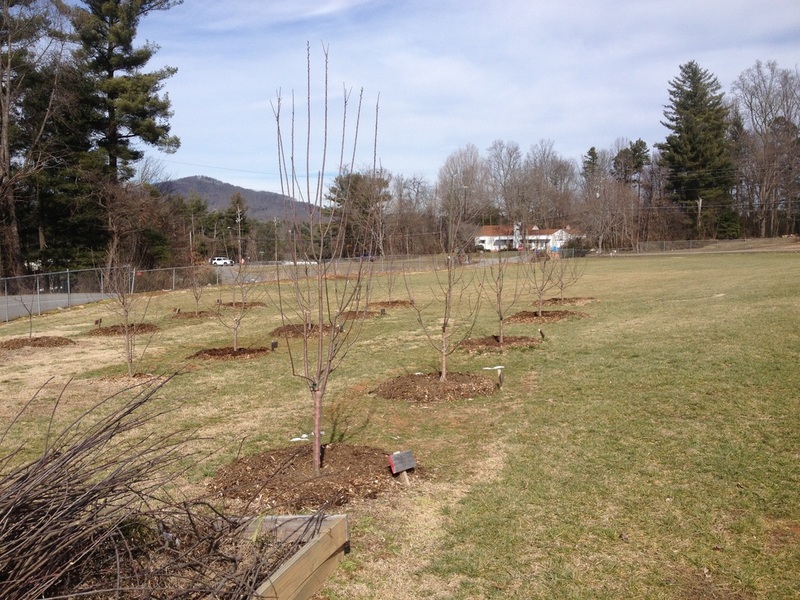 This orchard contains ten Apple trees. 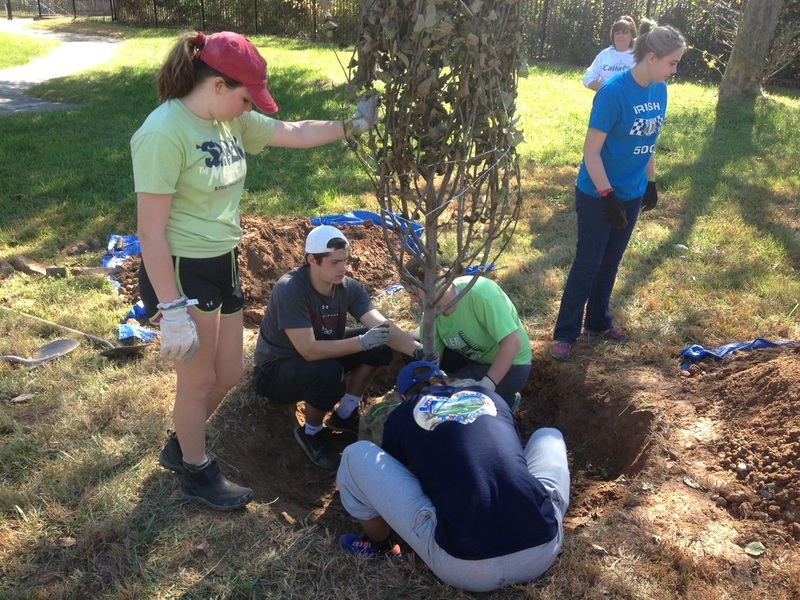 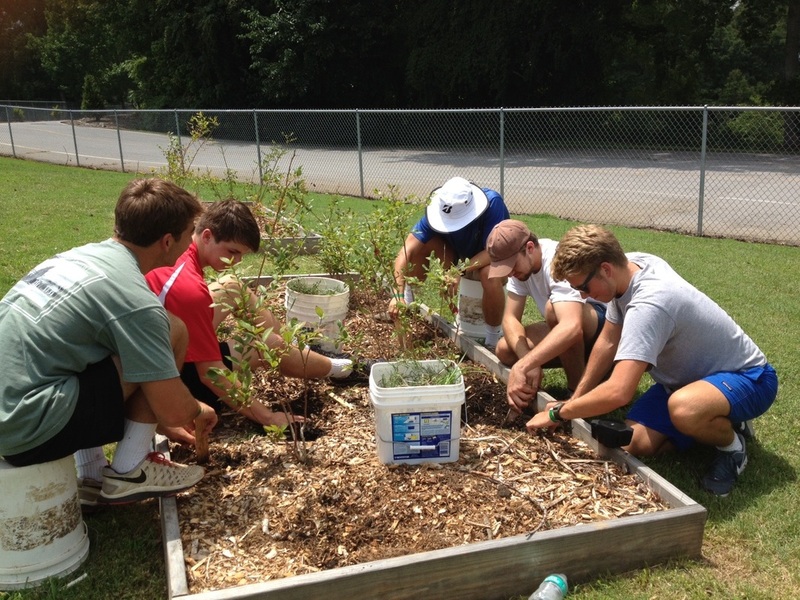 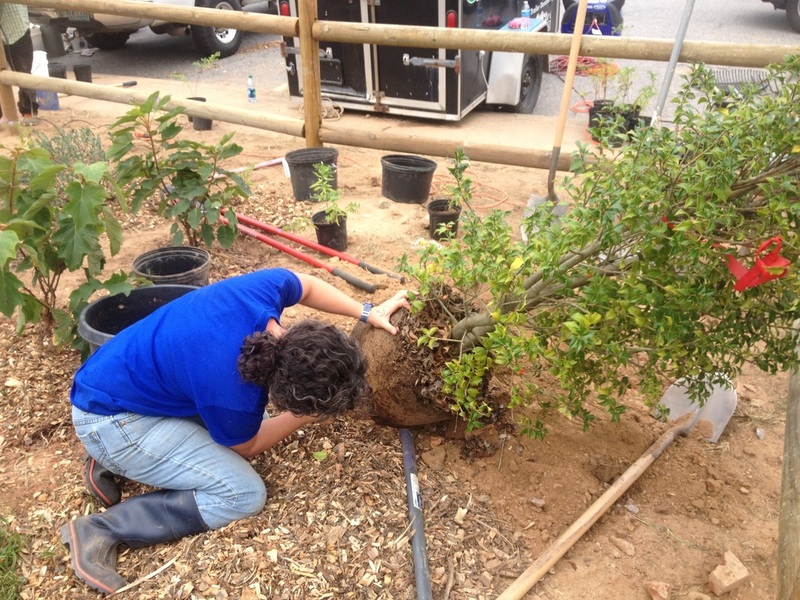 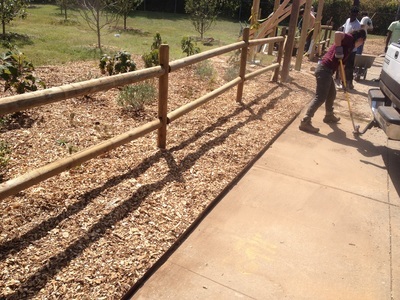 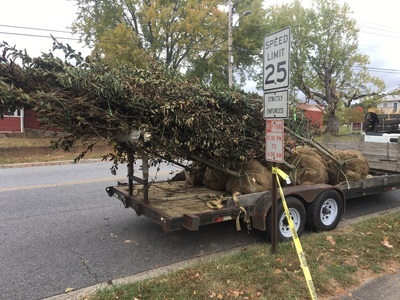 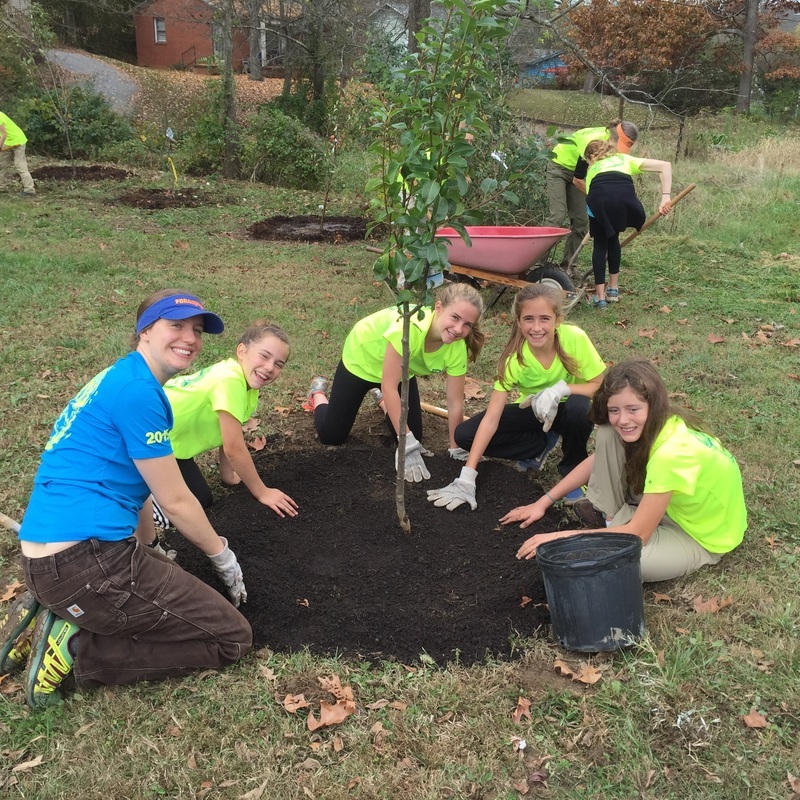 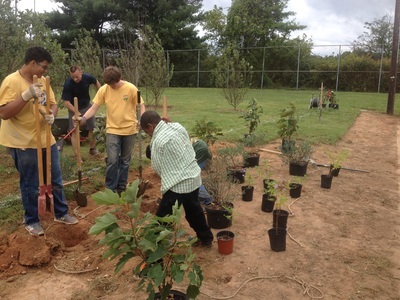 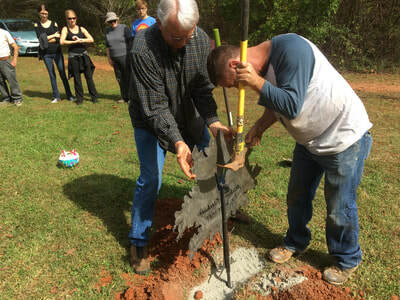 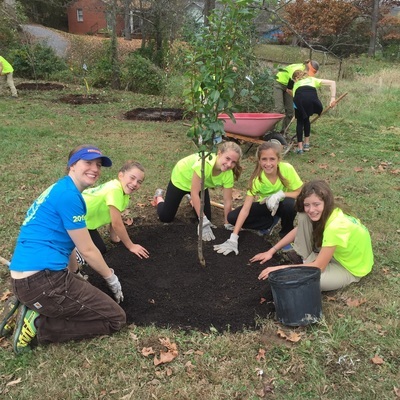 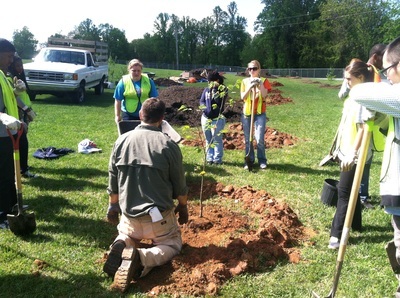 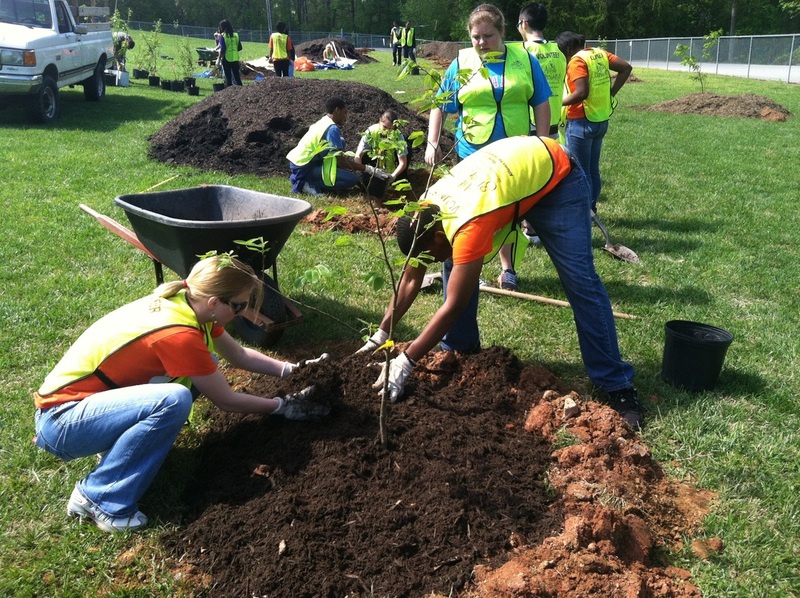 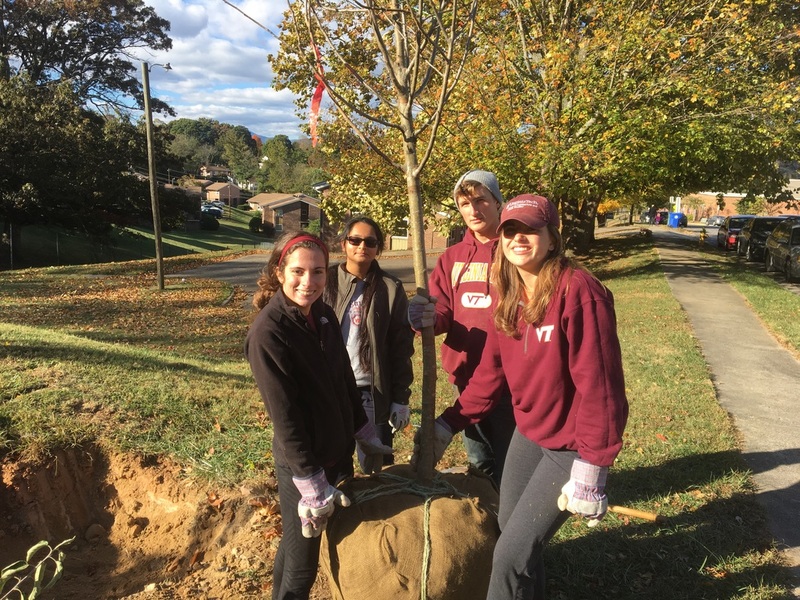 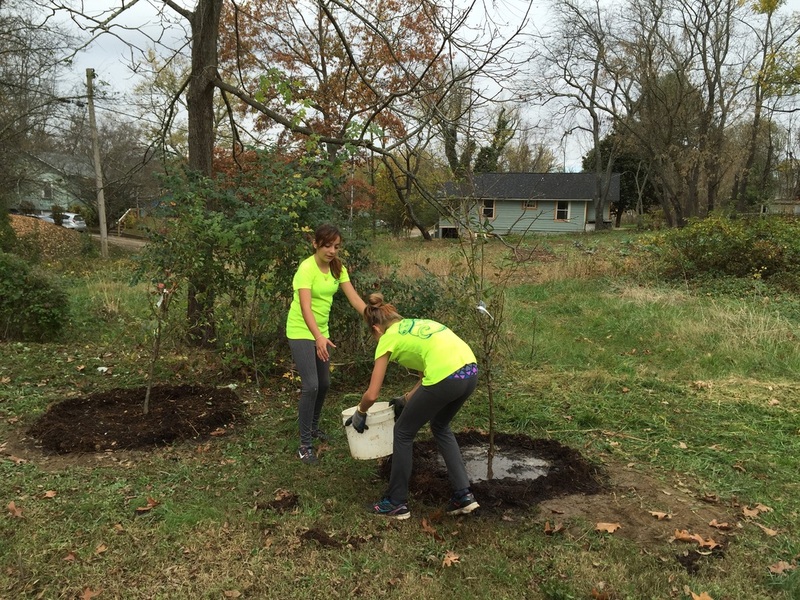 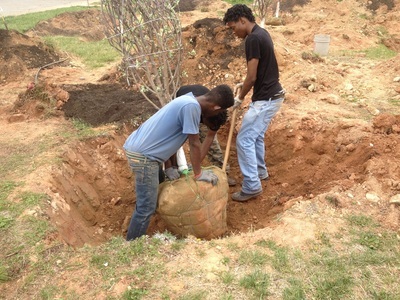 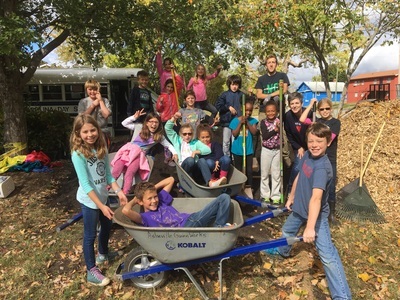 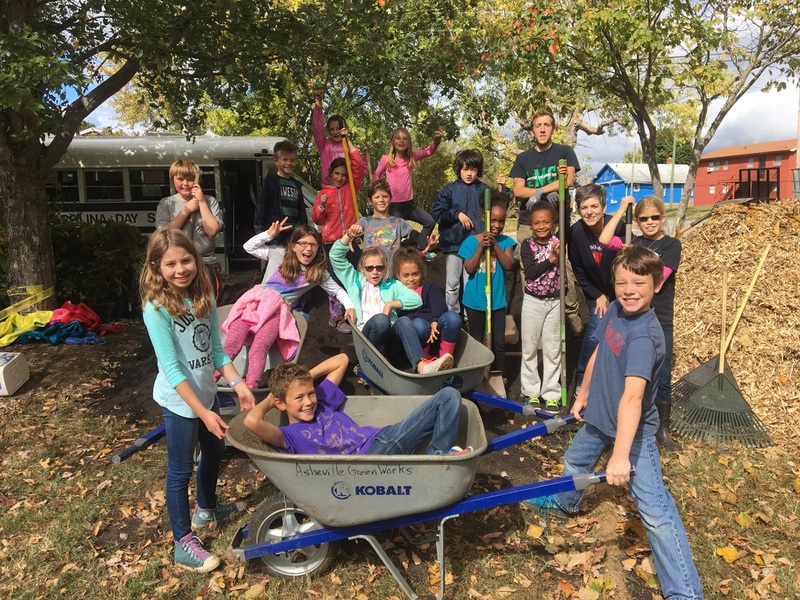 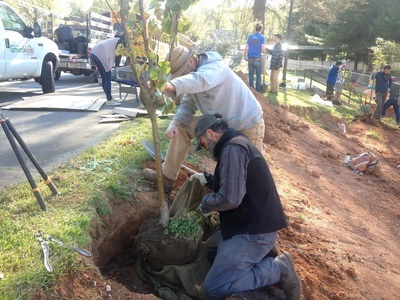 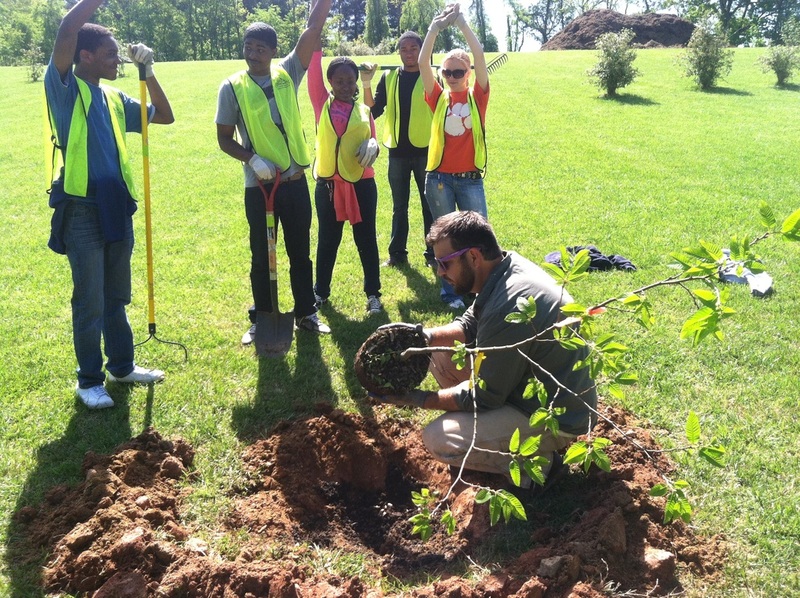 Funding provided by National Arbor Day Foundation through Warren Wilson College. 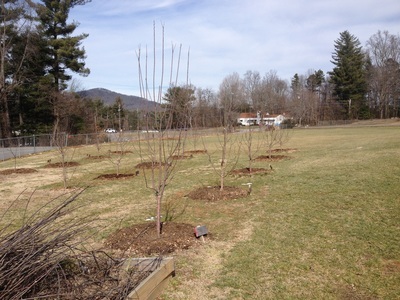 This orchard contains six Apples and four Pear trees. 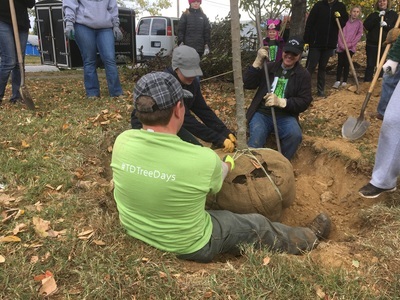 Funding provided by TD Bank. This orchard contains fifteen Apple and three Pawpaw trees as well as a pollinator garden. 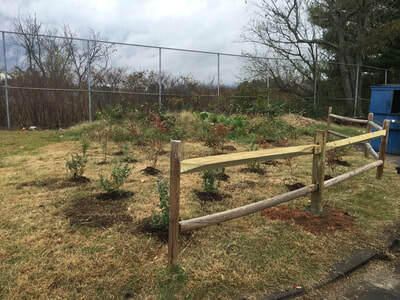 Planted in partnership with the neighbors of the Shiloh Community Garden. 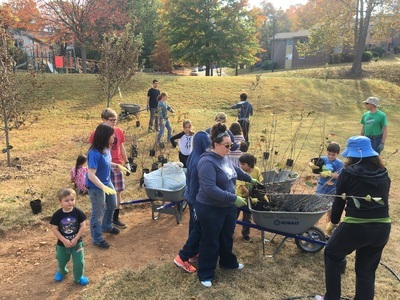 Funded by the Alliance for Community Trees. This orchard contains Apples, Cherries, Pears, Hazelnuts and Quinces. 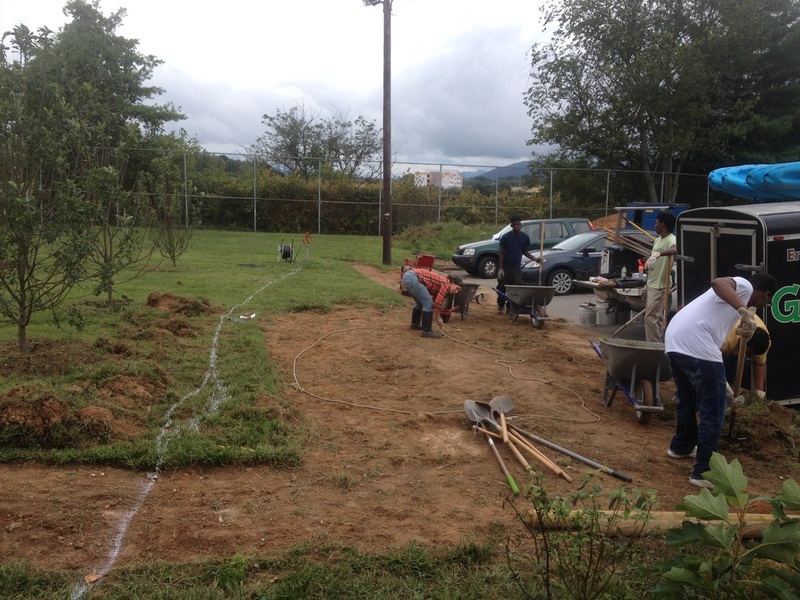 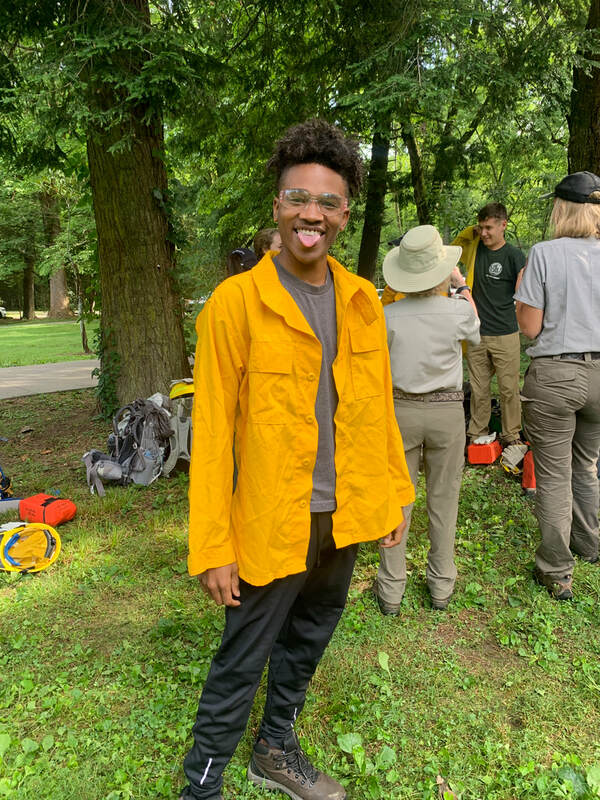 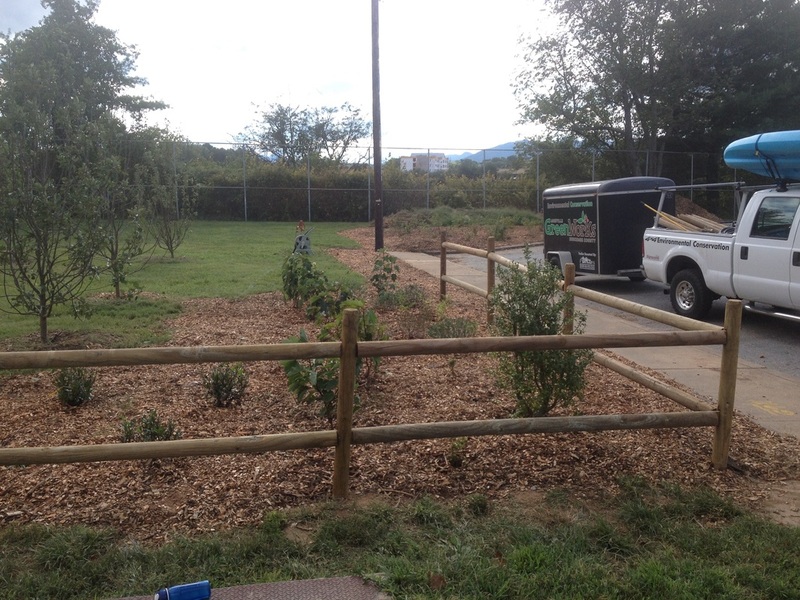 Funding provided by Buncombe County Parks & Recreation Grant. This orchard contains seventy fruit and nut trees. 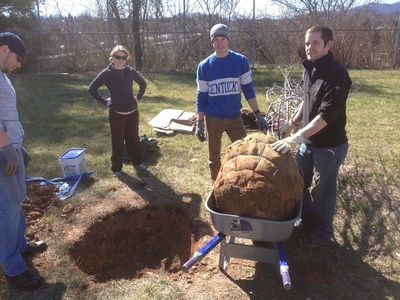 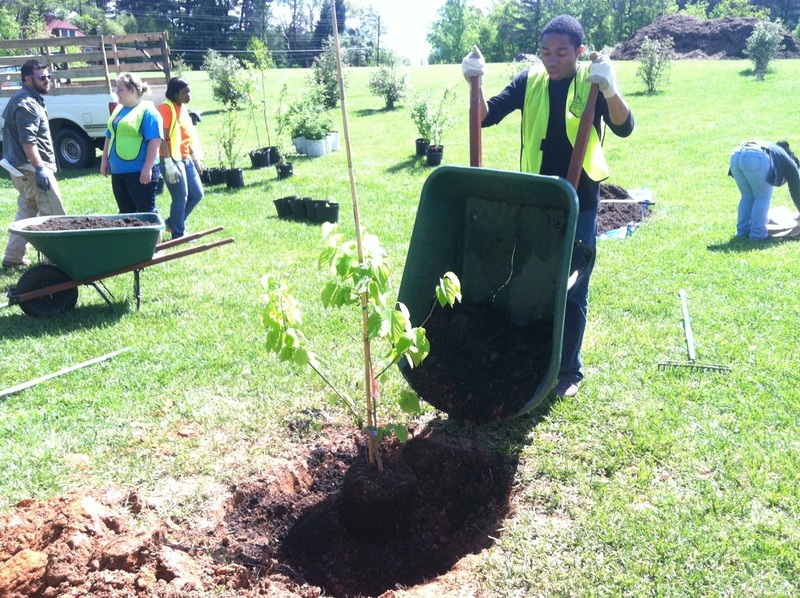 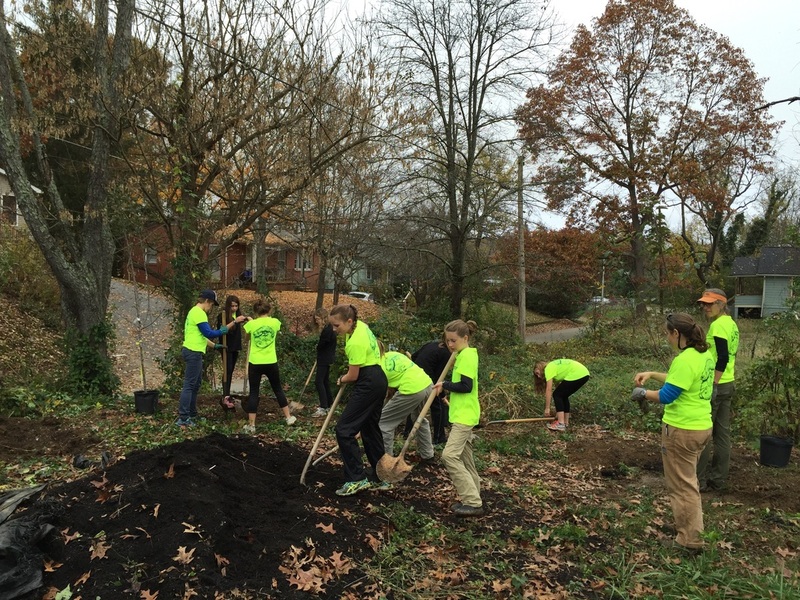 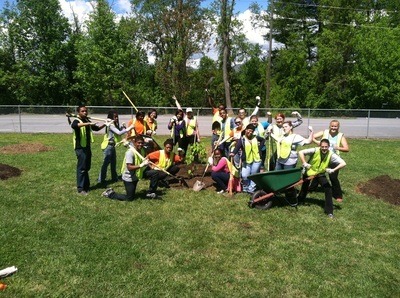 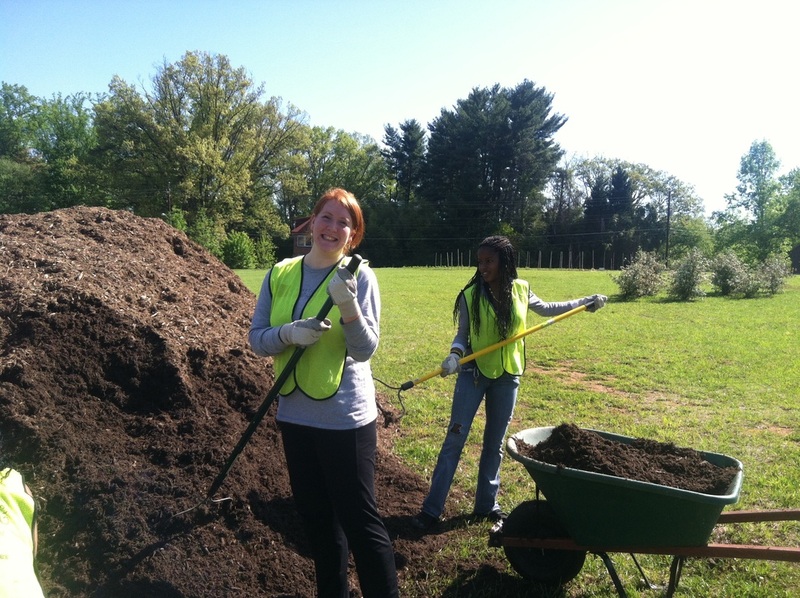 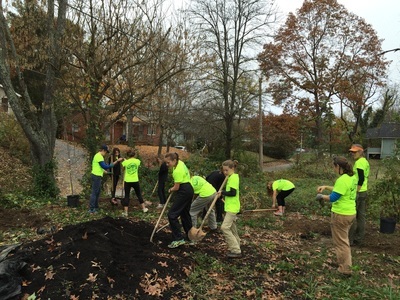 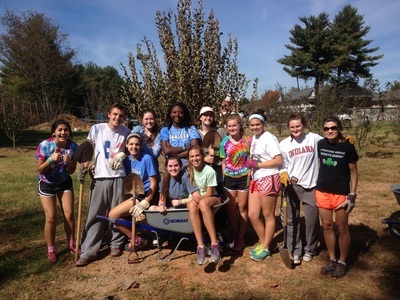 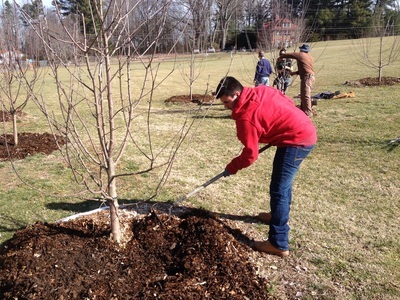 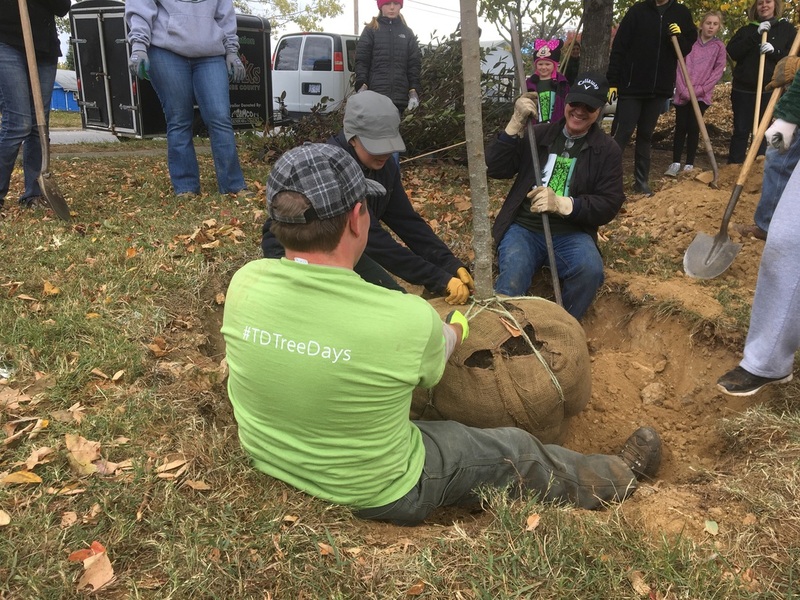 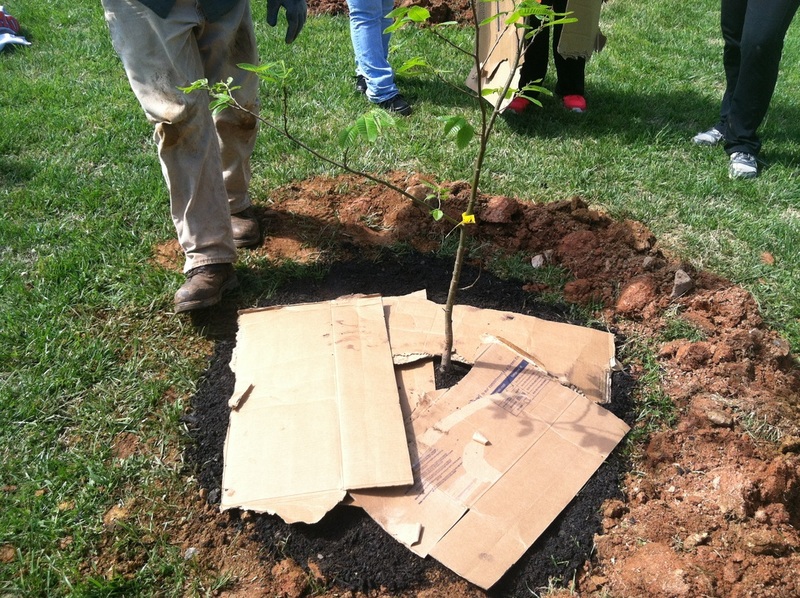 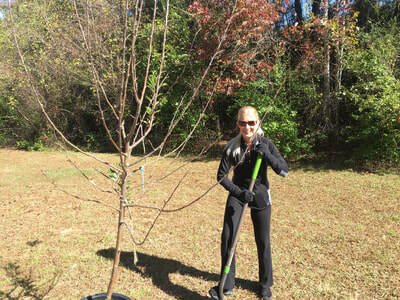 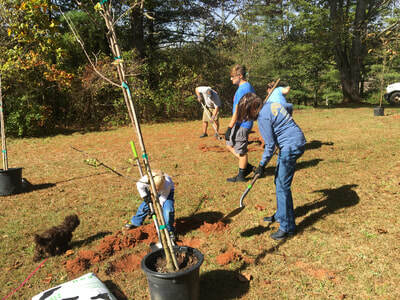 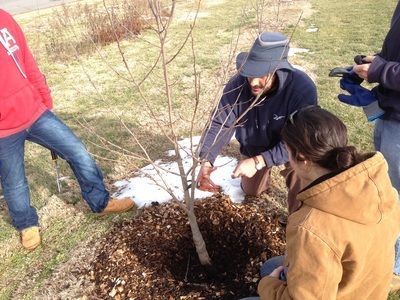 ​Project made possible through a generous grant from TD Bank, the National Arbor Day Foundation and DoubleTree Hotel. 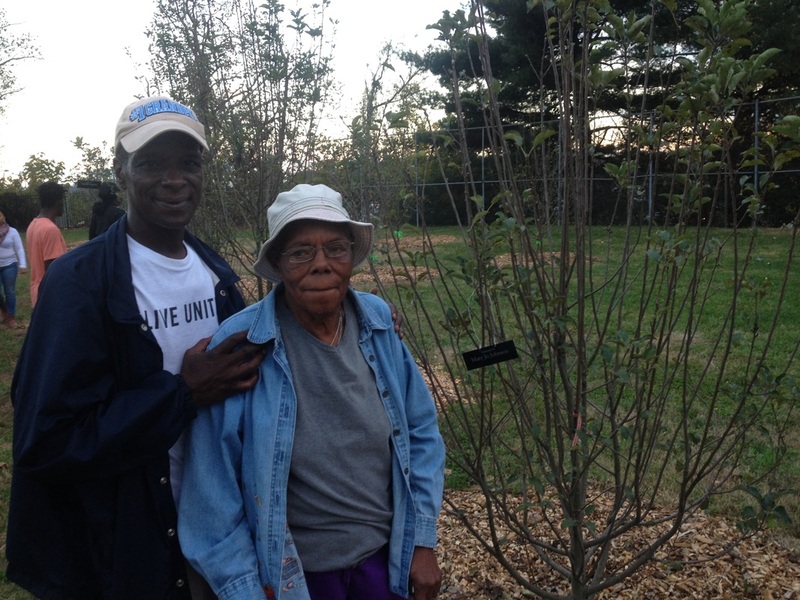 This orchard contains sixty eight fruit and nut trees and a pollinator patch. 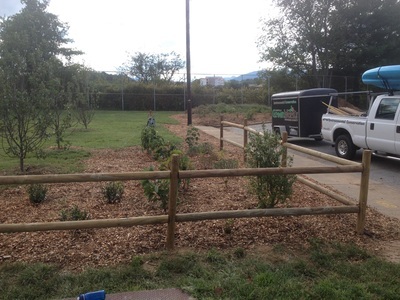 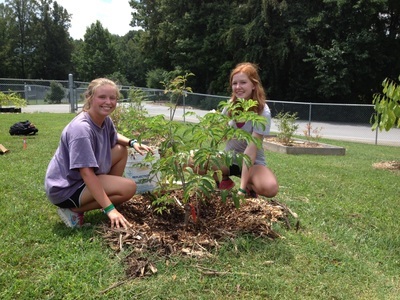 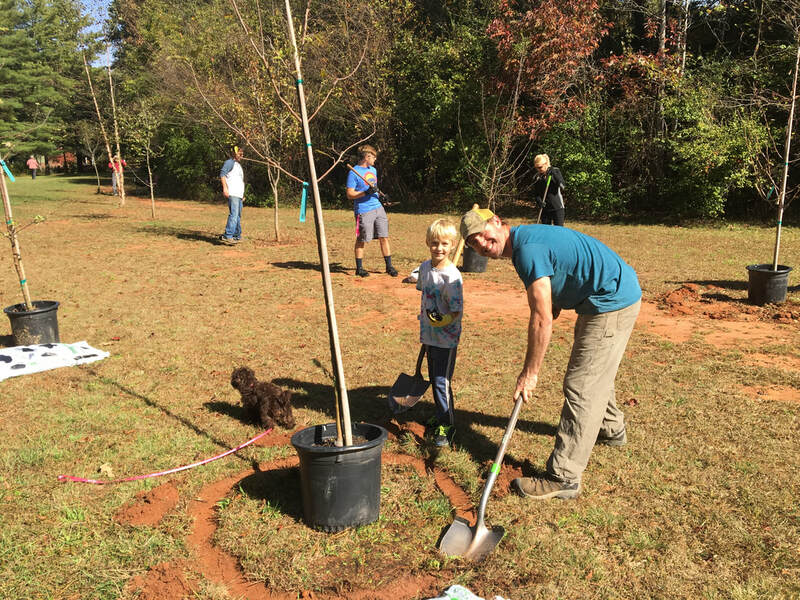 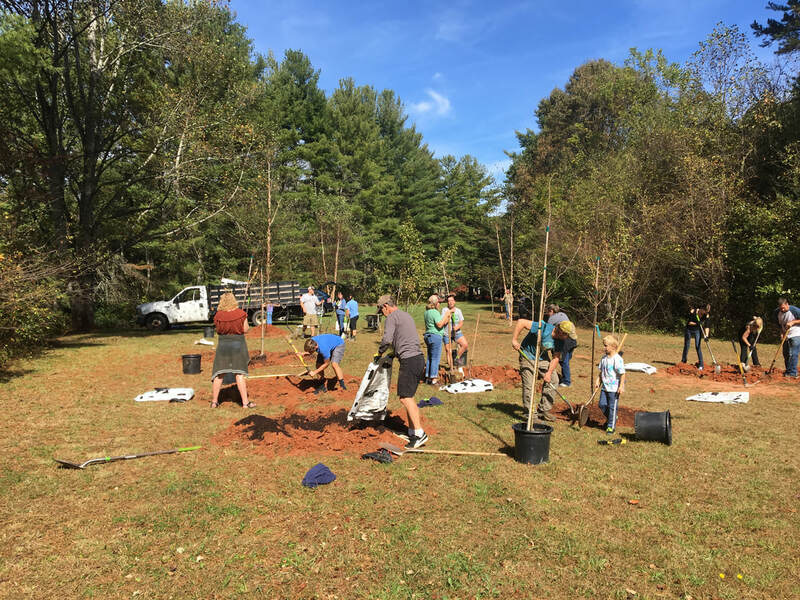 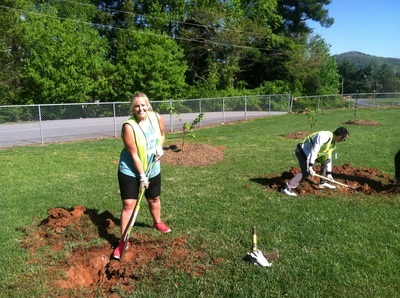 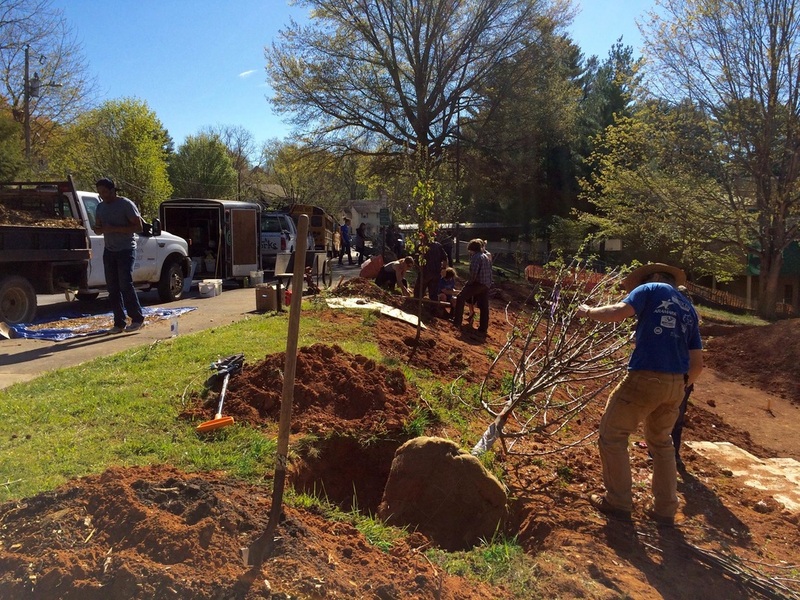 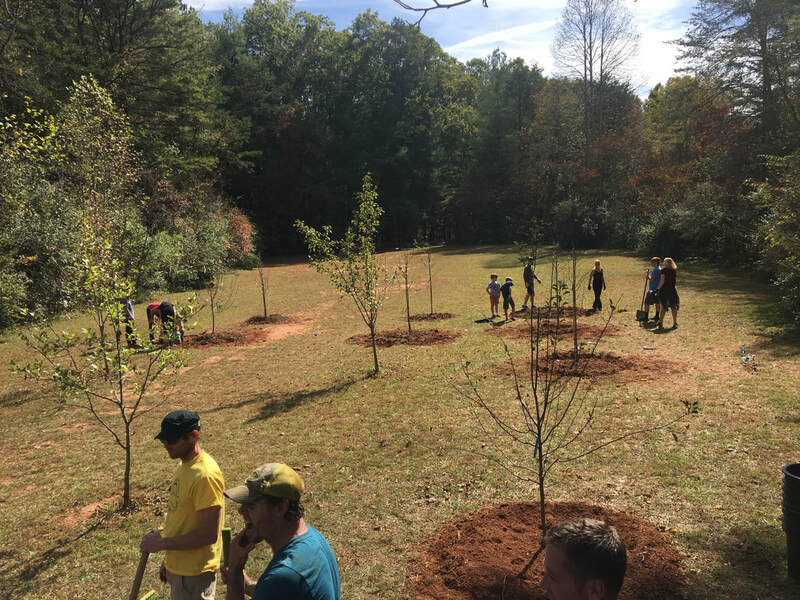 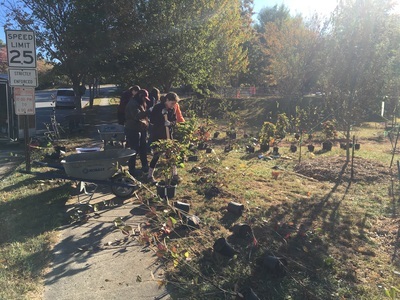 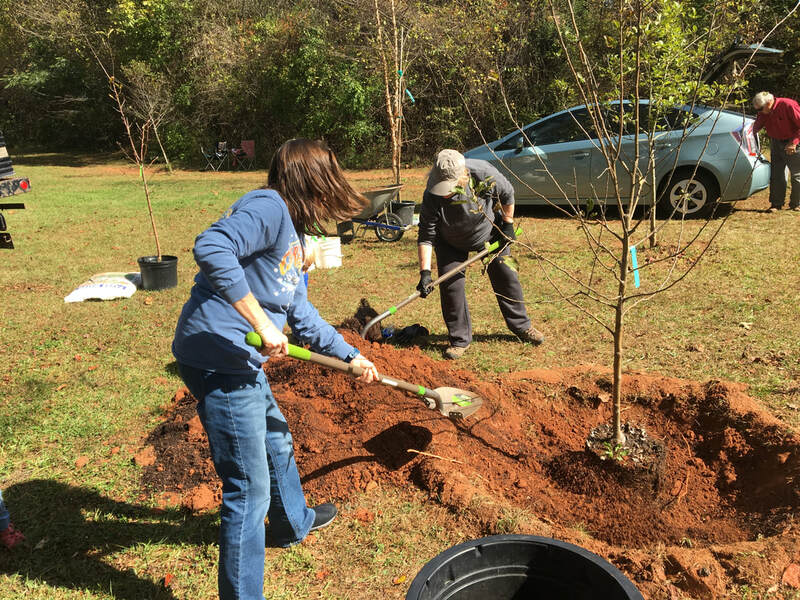 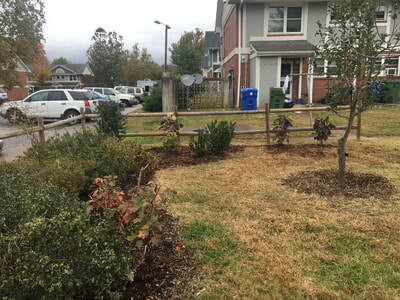 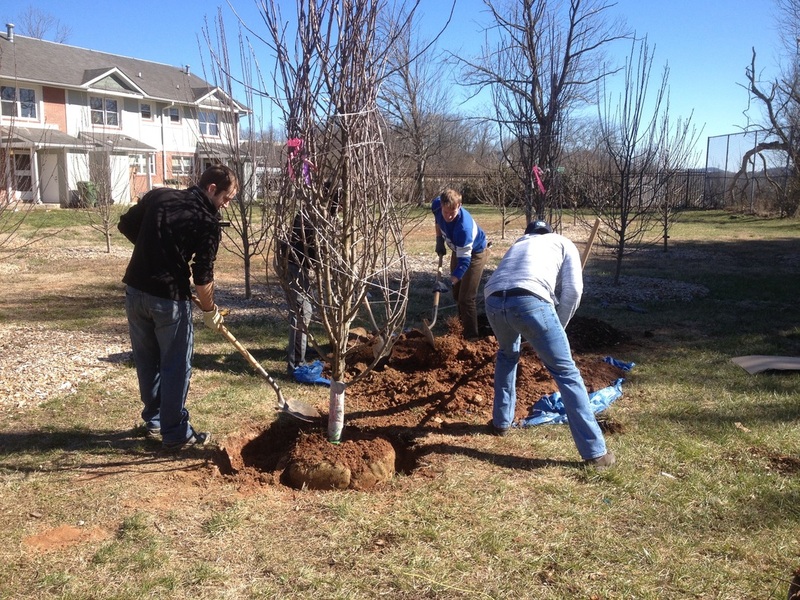 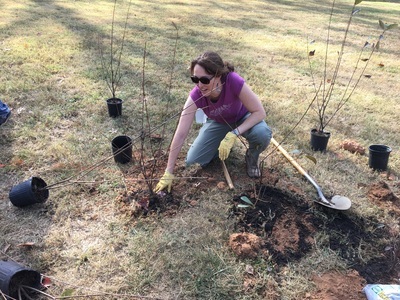 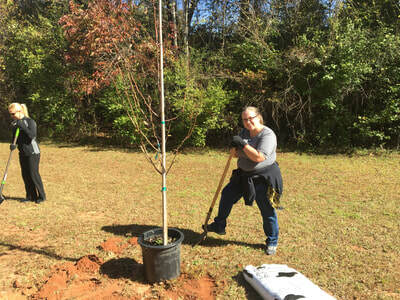 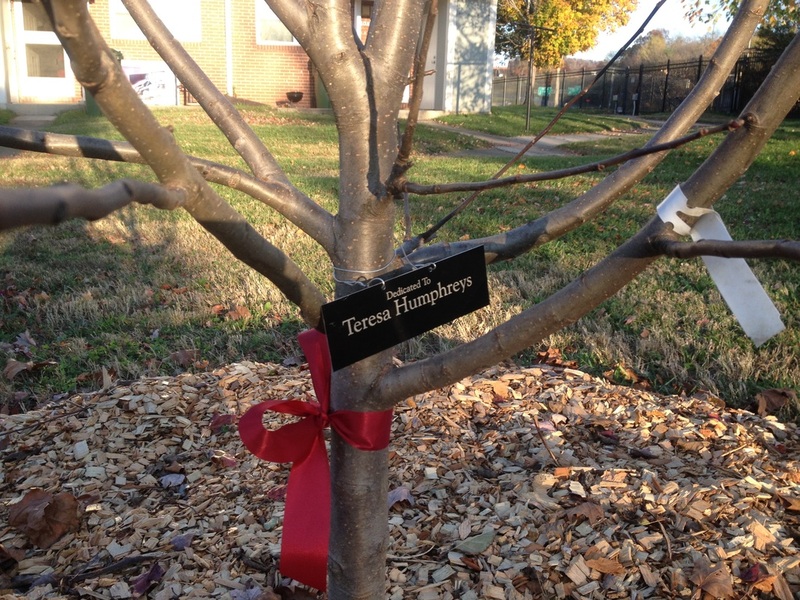 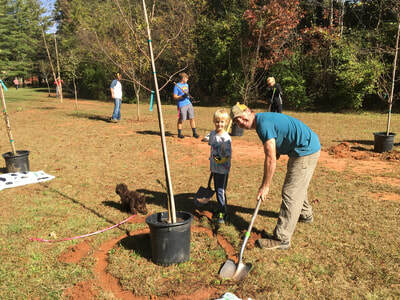 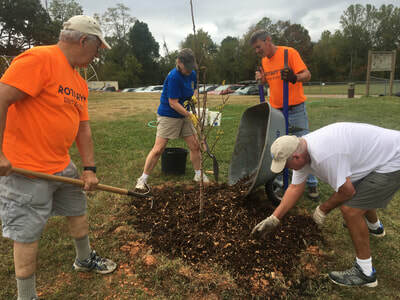 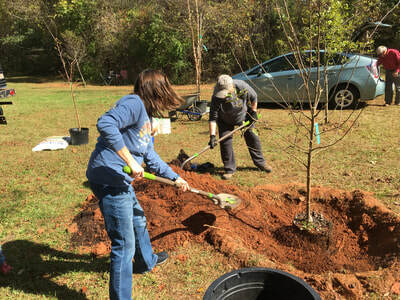 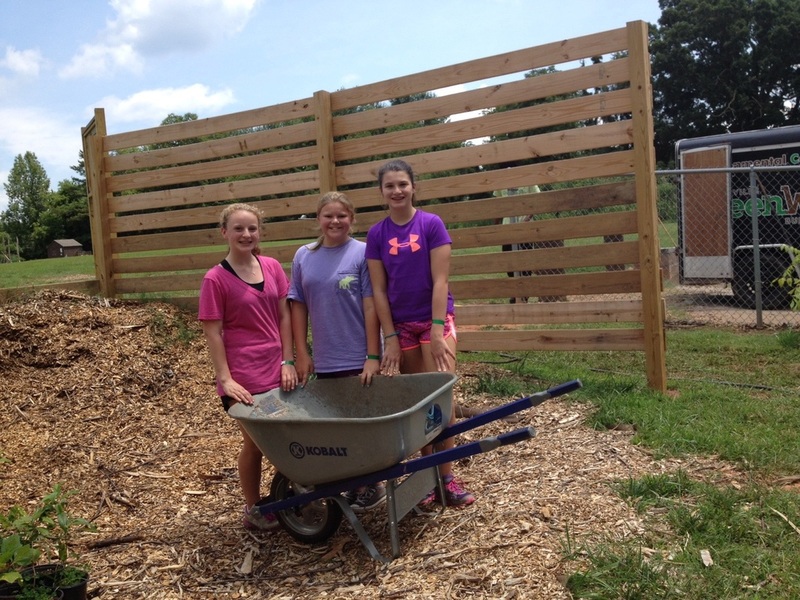 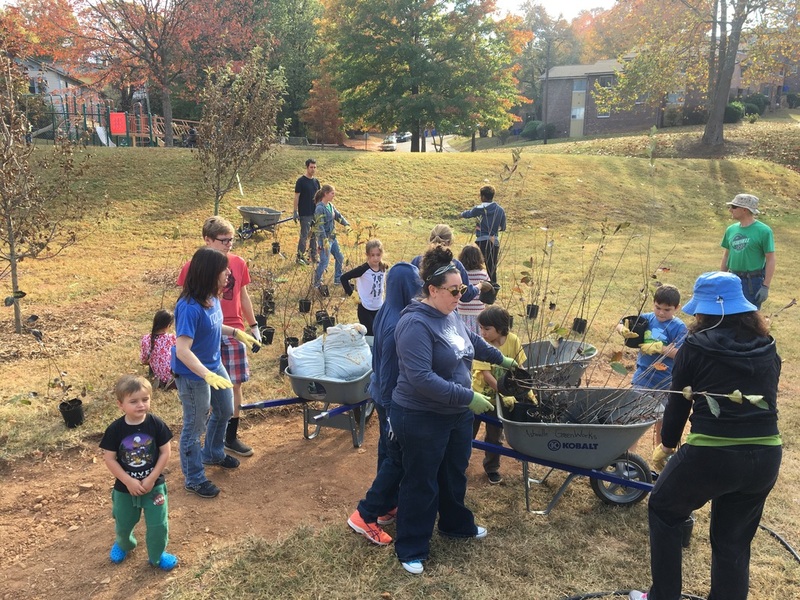 Located at Bent Creek Community Park, this orchard was funded by Pisgah Plants Nursery and the Bent Creek Neighborhood Association. This orchard contains fifteen Apple and Pear trees.